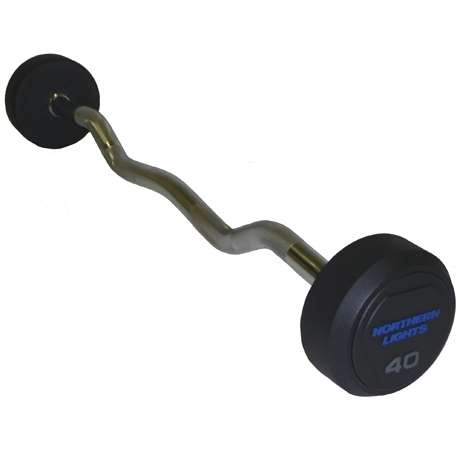 Northern Lights Rubber Curl Barbells are the perfect addition to any home or gym. The curl bars are constructed with a one-piece solid cast and its steel head design, encased in rubber, offers accurate weight and precision balance. The curl barbells are available in 20-110 lbs. in 10 lb. increments.